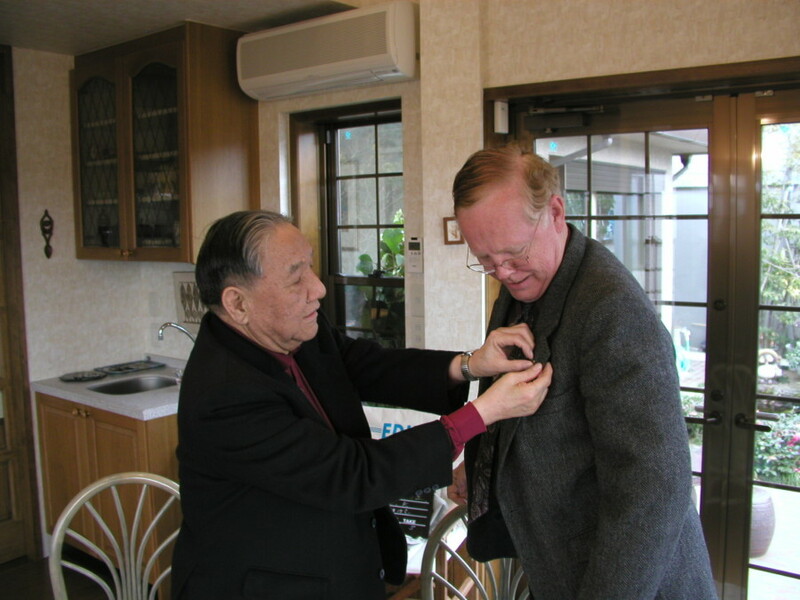 Malcolm receiving the best gift possible, Mr. Kakehashi's personal ROLAND pin as a gift (see the story below). 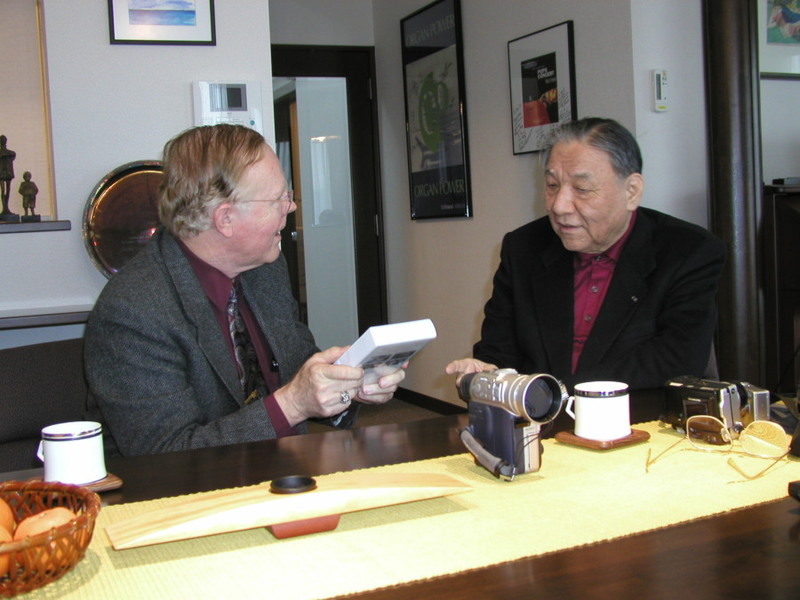 In 1999, I had the pleasure to meet Mr. Kakehashi while in Japan doing research with Dr. Tetsuo Kondo of Tsukuba Japan. 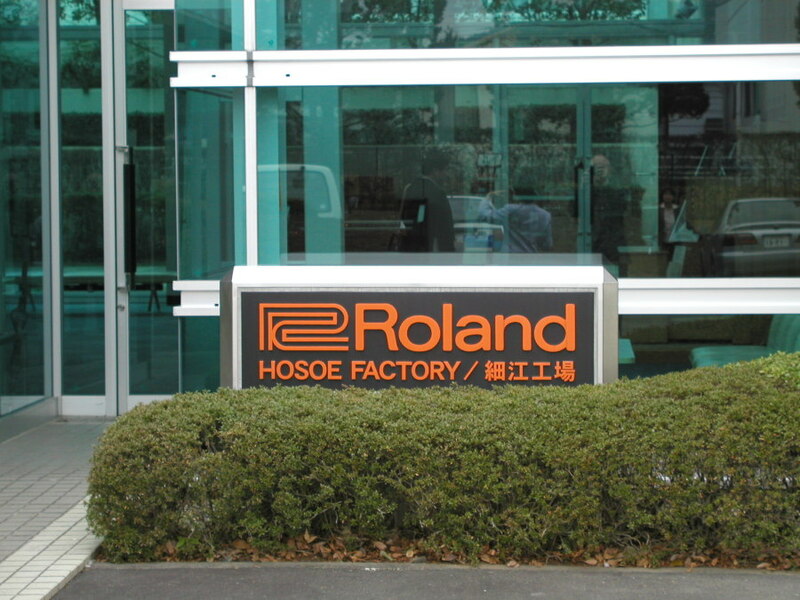 Tetsuo made arrangements with his personal secretary, Mrs.Yoshimura Seiko, and we got to visit Mr. Kakehashi as well as tour the Roland Hosoe Factory where my Roland KR -1070 was manufactured. 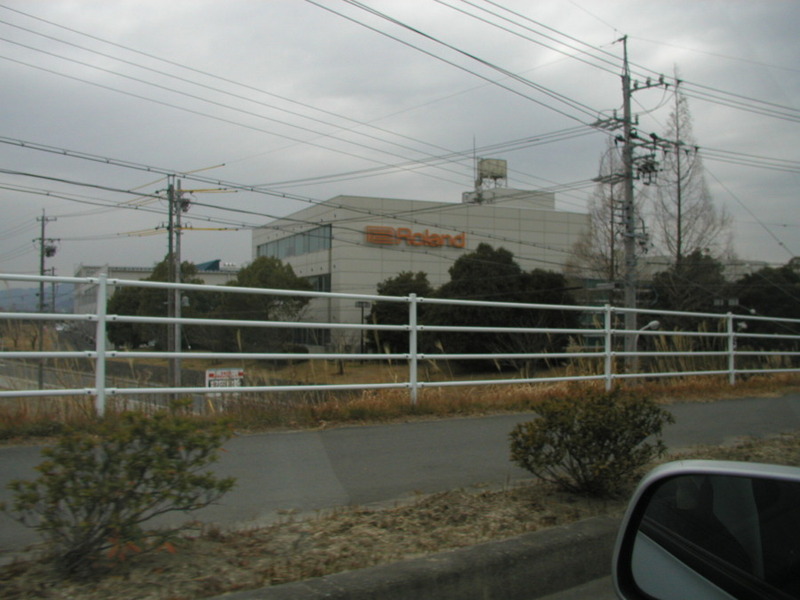 I have a web site devoted to this factory tour. To take it, click HERE. 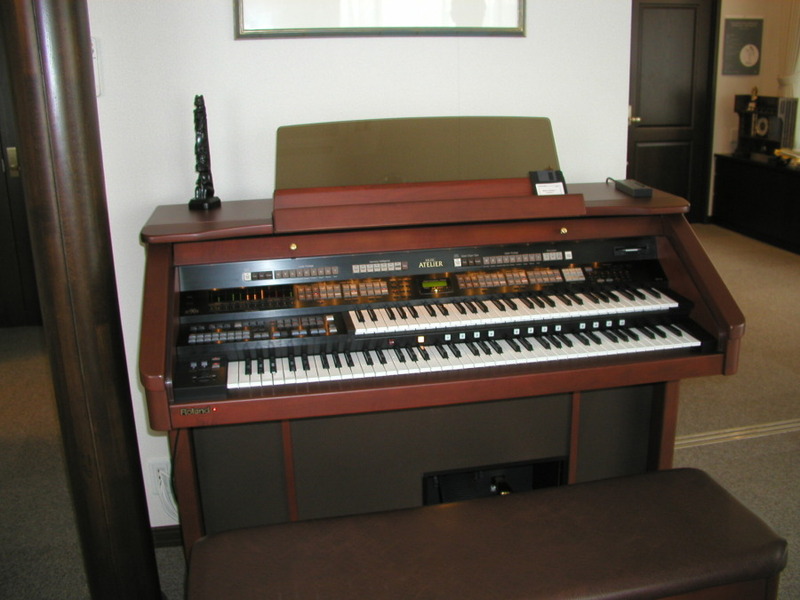 Following this initial visit in 1999, I was invited by Ron Edelman and Roland USA to attend my first NAMM show in Los Angeles (National Association of Music Merchants). This is a very large convention of more than 80,000 participants. 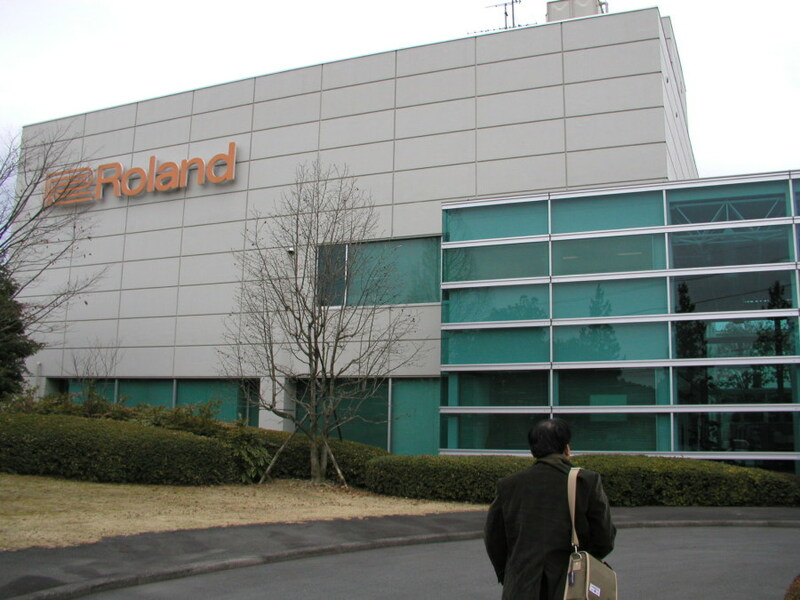 Roland had beautiful booths and exhibits and it was an eye opener for me. 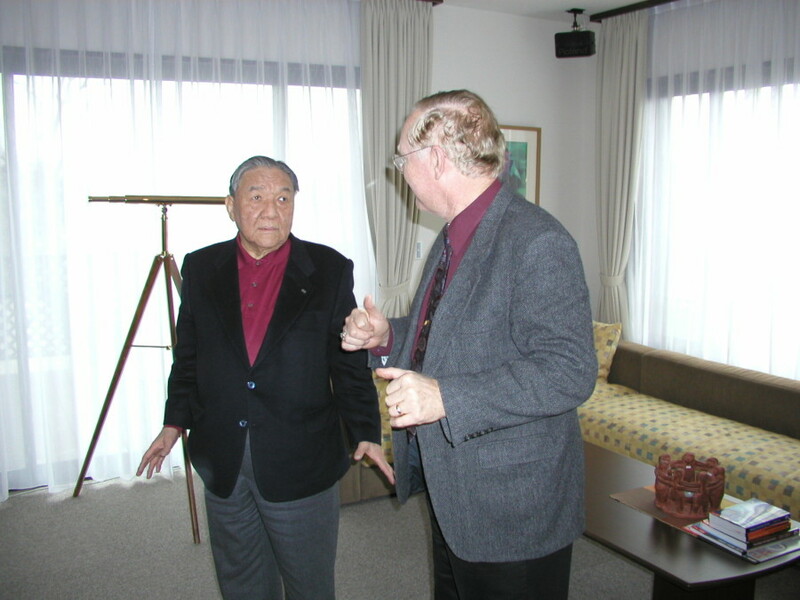 Ikutaro was conducted into the Music Hall of Fame that year and had his hand prints embedded in Hollywood, I believe. It was also at this meeting that I accidentally met Valerie Maslow who became a loving friend before she passed away this year from cancer. I have a web page devoted to Valerie. 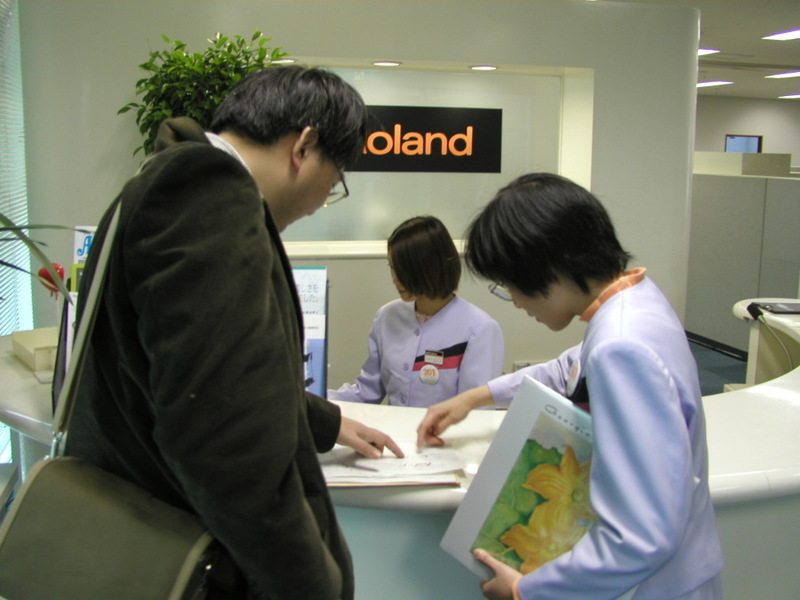 To visit it, click HERE. 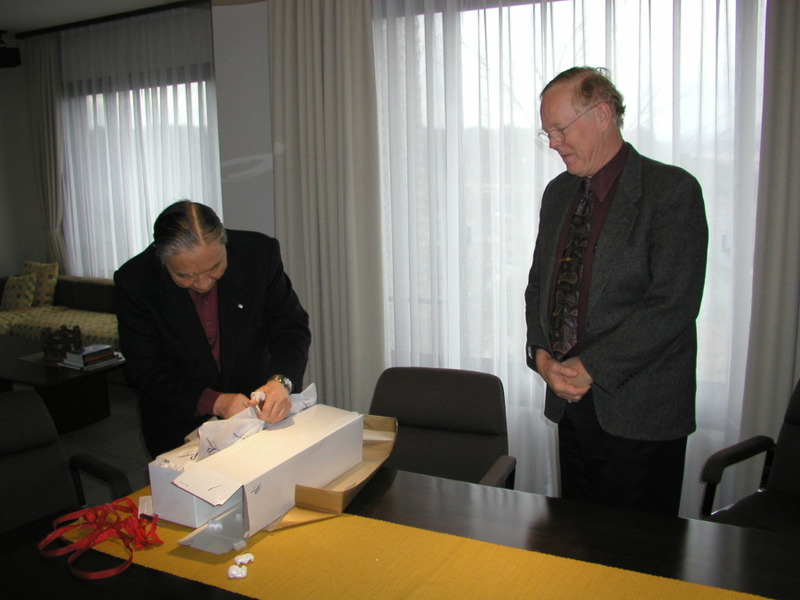 Then in November, 2000, my Japanese friends honored me for my 60th birthday with a KANREKI celebration in Kyoto. 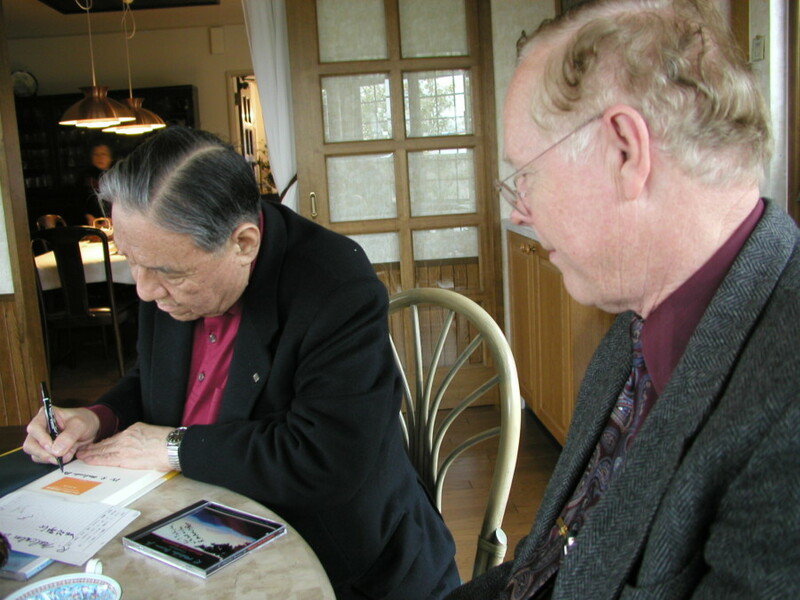 I took Ann and David and Richard and Barbara Santos and Inder Saxena to this event. 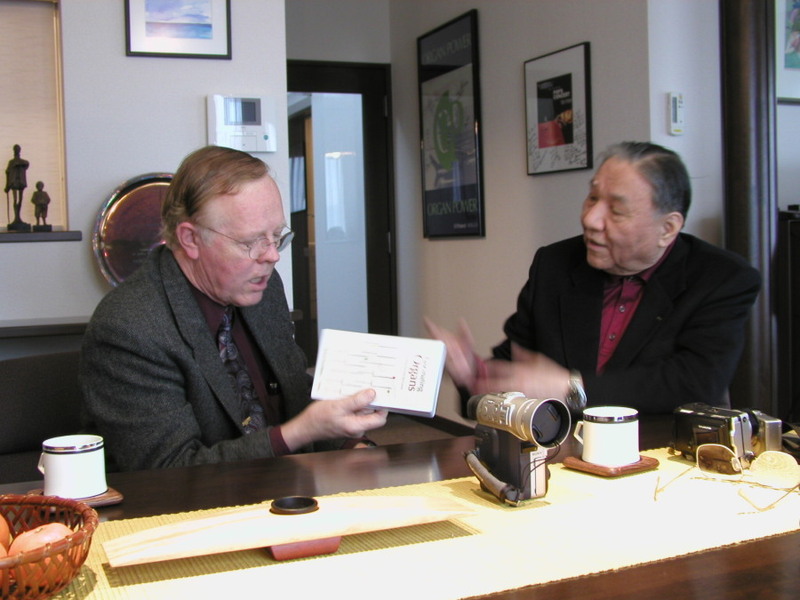 There, Mr. Kakehashi honored me at the banquet by providing a Roland KR-1077 Digital Grand Piano to play and he gave a short speech. 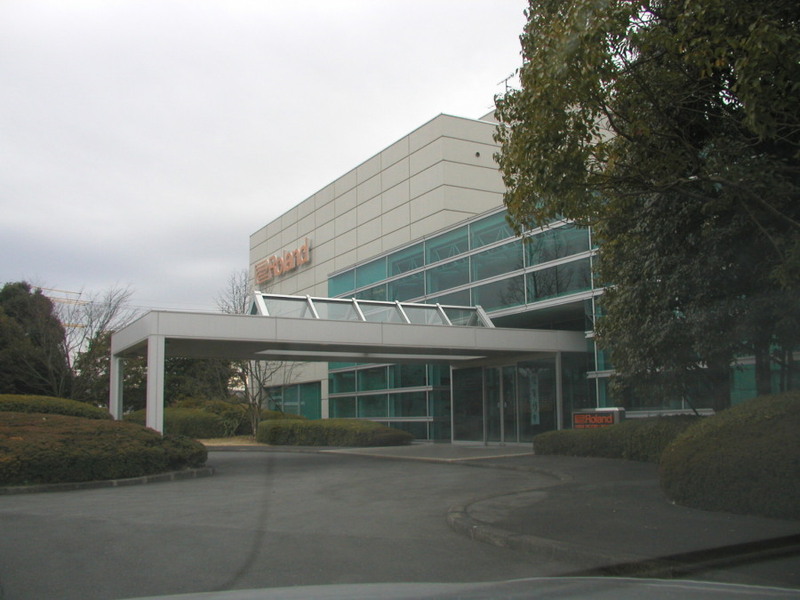 To see this, click HERE. 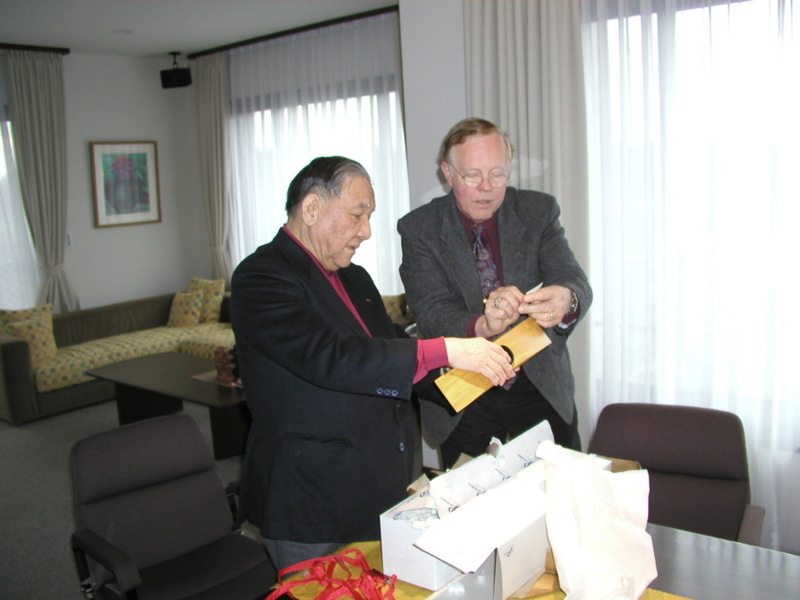 A year later I returned to Japan in December, 2001 to work with Tetsuo Kondo and he arranged a visit to Hammamatsu and Mr. and Mrs. Kakehashi's personal home there in January, 2002. 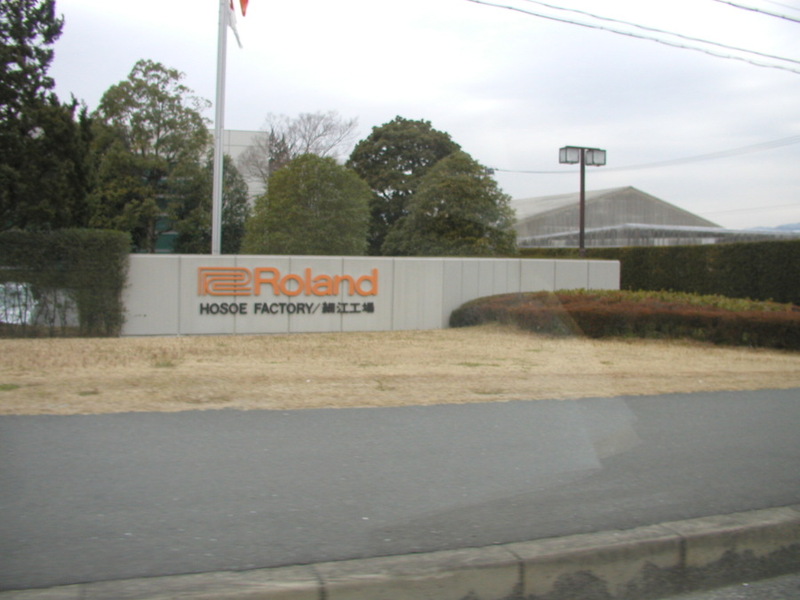 What a visit! 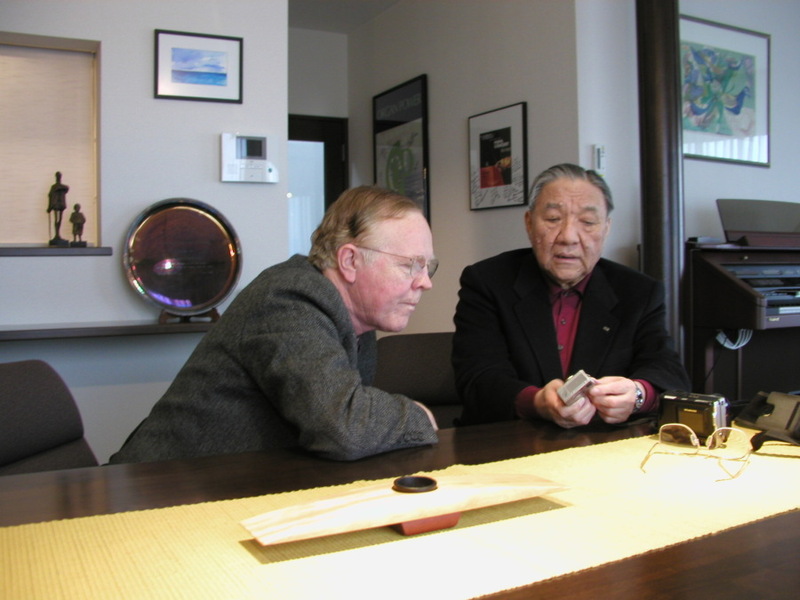 We recounted all of these interesting and unlikely connections, and there Mr. Kakehashi presented me my Roland pin which means so much to me, and he also gave me the Japanese version of his book, "I Believe in Music". 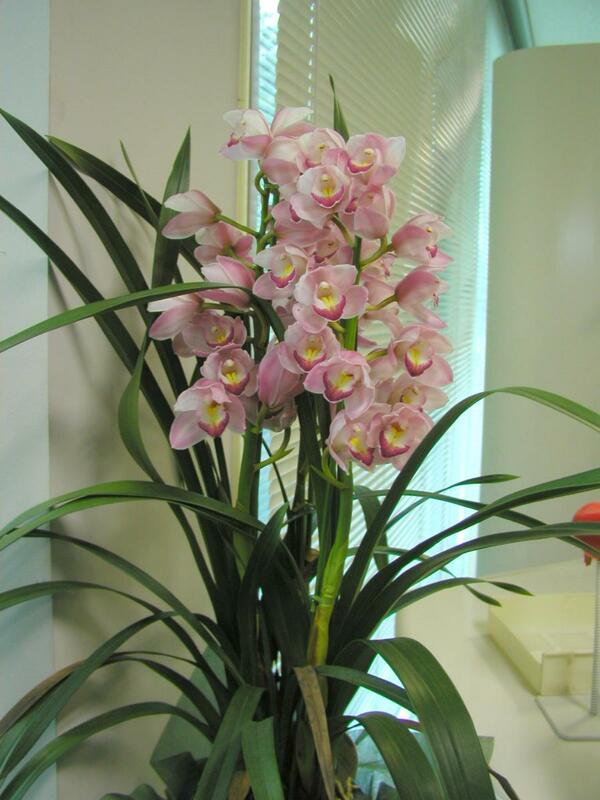 The photos below record that wonderful visit. 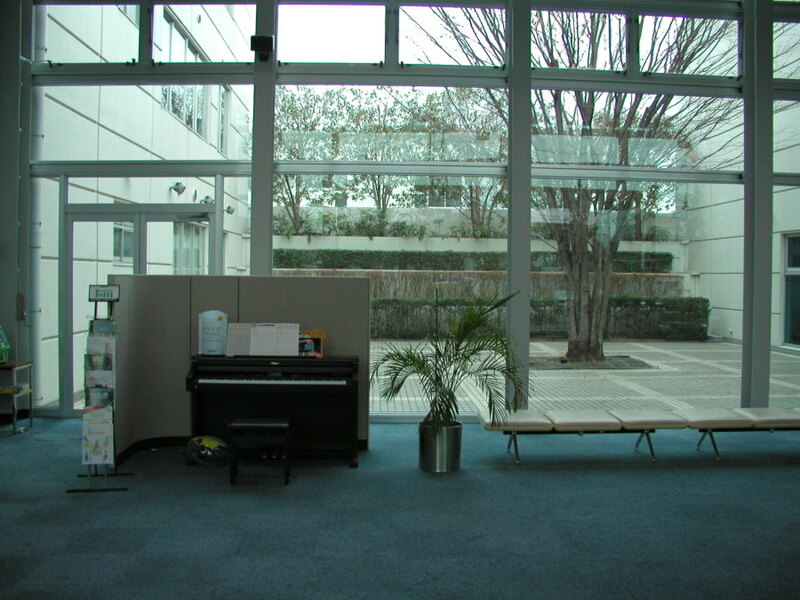 Mrs. Kakehashi had delicious tea and cookies for us and we really stayed the entire afternoon. 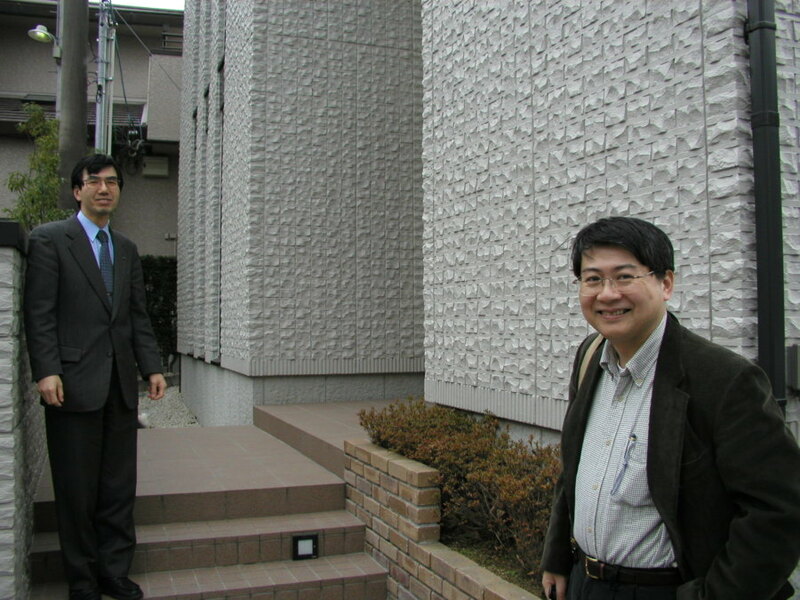 When I walked into their home, my "Mount Fuji Beckons" album was playing! 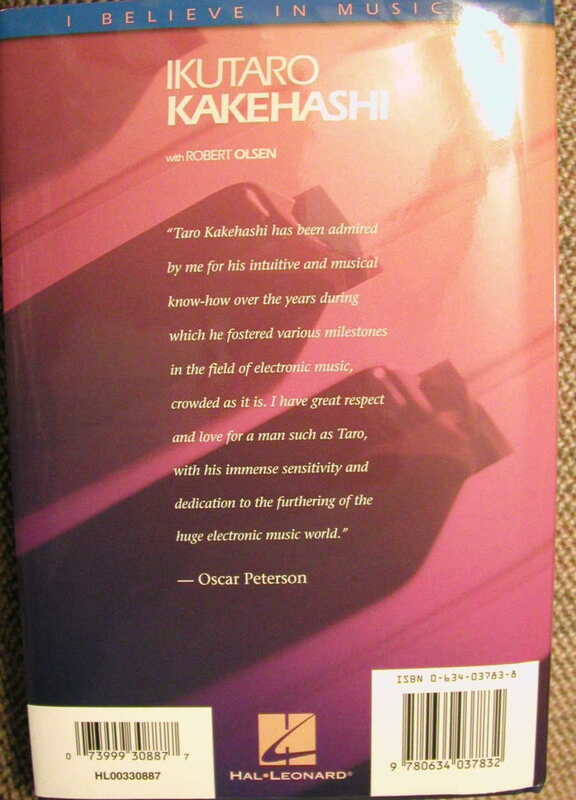 I was very impressed and hope that Mr. Kakehashi understands that music is my avocation and that I composed it from the heart for him. 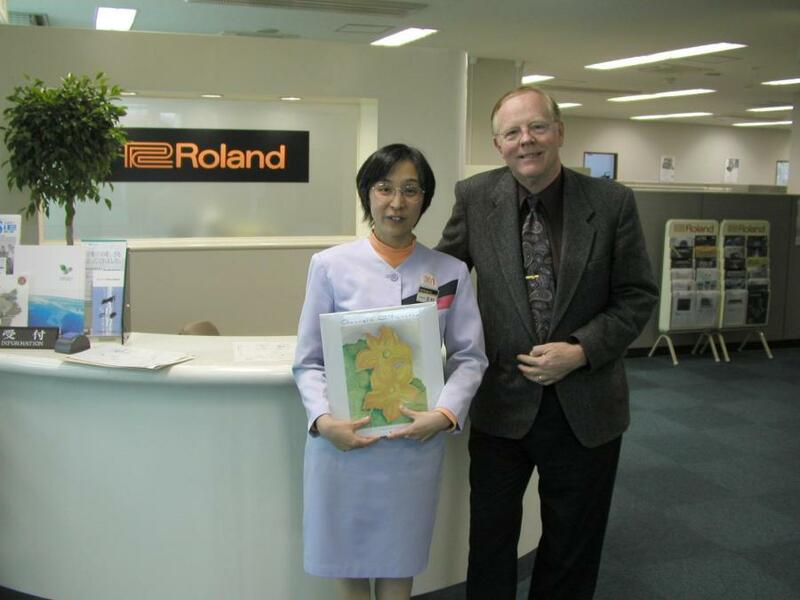 That visit was one of the highlights of ALL of my visits to Japan over the years. 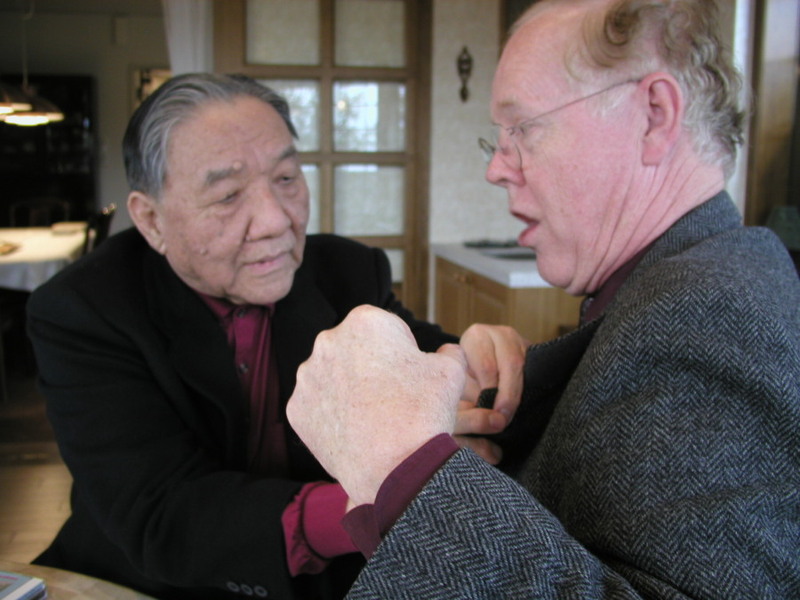 I shall always treasure his friendship and ability to communicate. 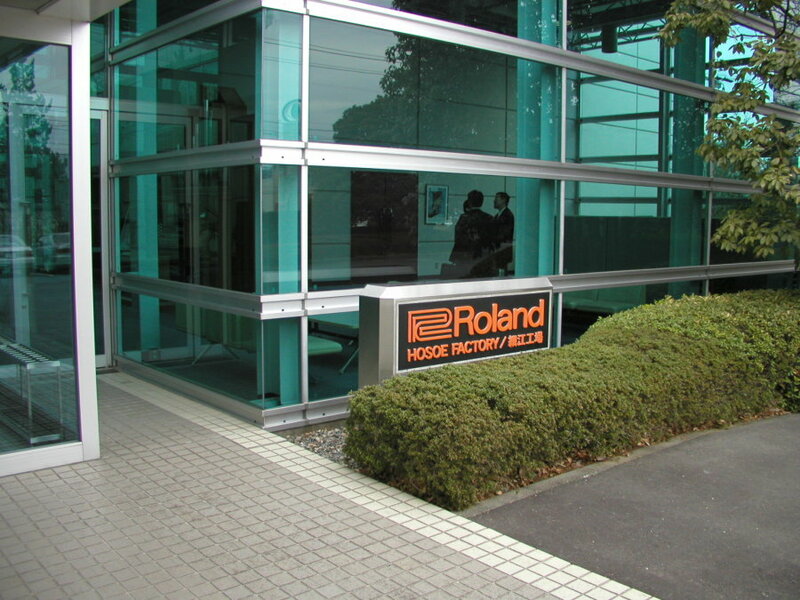 IIf you are interested in learning something about the ROLAND CORPORATION, I suggest that you click HERE. 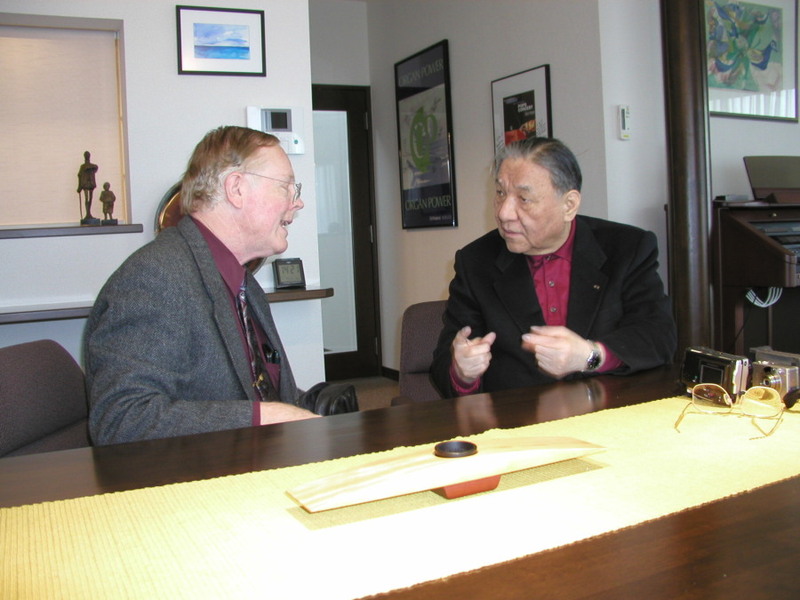 This is an excellent site and shows just what Mr. Kakehashi has done over the years. 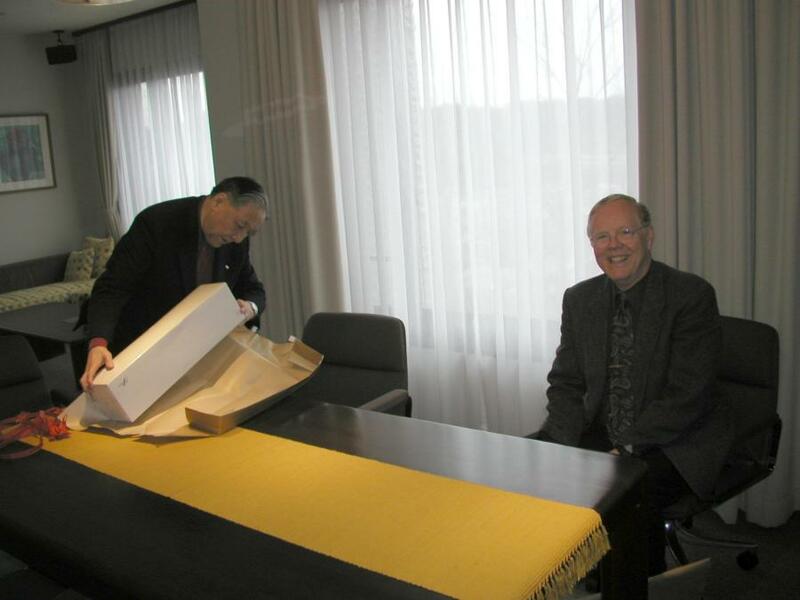 Of course, Mr. Dan is taking over the helm and will continue in the excellent tradition of Mr. Kakehashi. I wish him well. 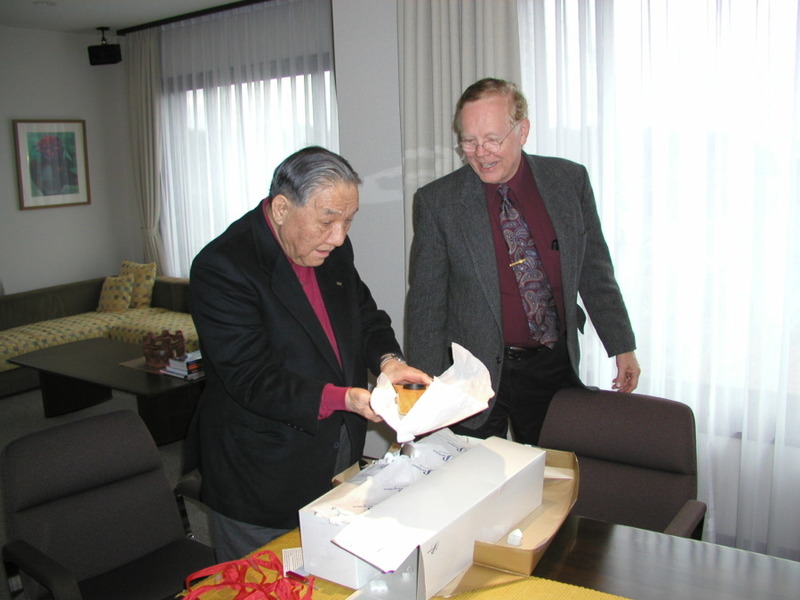 I want to personally thank Tetsuo Kondo for his insight and generosity in making the arrangements so that I could continue my friendship with Ikutaro Kakehashi. 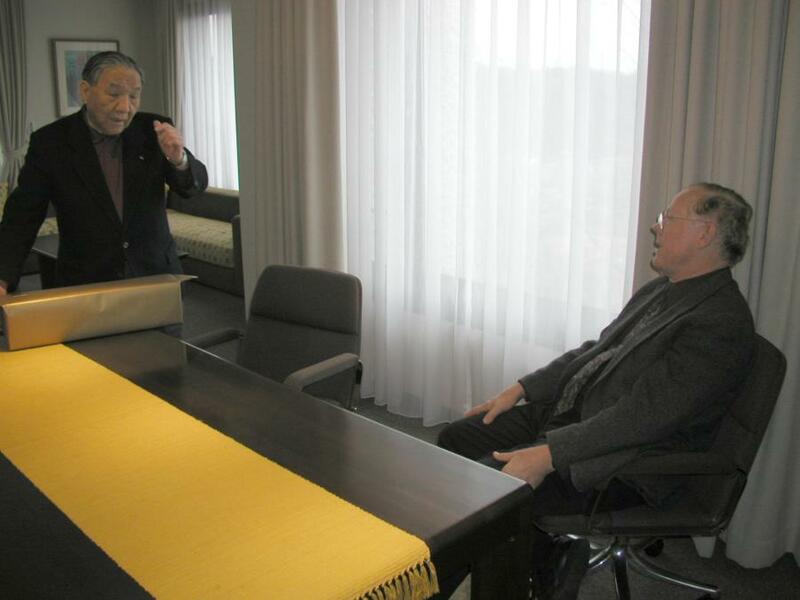 Thank you, Tetsuo! ...and now to the photos. Enjoy!